I like that last quote! 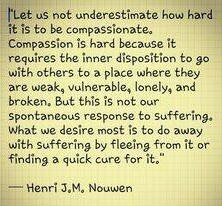 I feel I am a compassionate person, I certainly try. Loved that one too Debby. Some folks greatly test our capacity to love. Perhaps they were meant to?